Modeling is a genuinely human enterprise, so many of the questions related to modeling can only be answered by empirical studies of human factors. 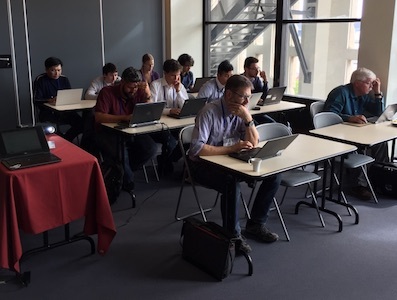 The HuFaMo workshop series is the venue for early stage empirical research involving human factors in modeling. Our goal is to improve the state of the science and professionalism in empirical research in the Model Based Engineering community. Typical examples of such questions might consider the usability of a certain approach such as a method or language, or the emotional states or personal judgements of modelers. We invite submissions regarding empirical studies of the following aspects. Other topics that fit into the general frame of this workshop are also welcome. Put your shoulder to the wheel! We solicit five types of submissions, each with their specific quality and review criteria. of human factors in modeling, including replication studies and negative results. We strongly encourage authors to submit raw data and analysis scripts. investigating human factors in modeling. These contributions will be evaluated based on the quality of the study design alone, i.e., whether the reviewers deem them promising to obtain meaningful, valid, and interesting results. No actual study results are expected. contributing to, or develop, a theory of some aspect of human factors relevant in modeling. No empirical validation is required, but a thorough analysis of the existing work from all relevant elds (including e.g., psychology, sociology, philosophy and more as appropriate) is expected. that present any software developed to support experiments related to human factors in modeling. 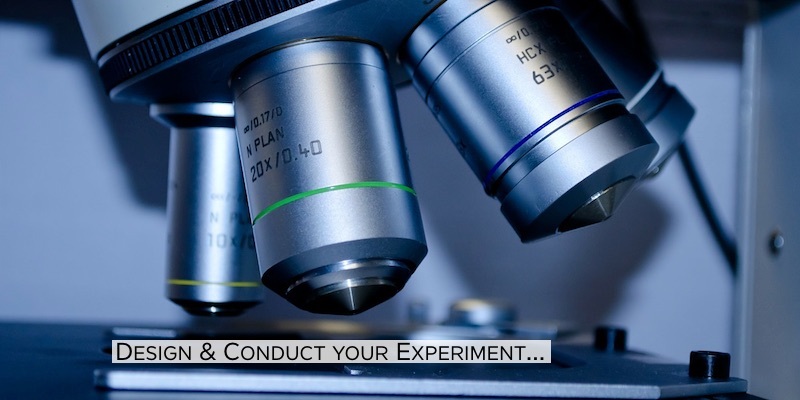 We intend here to promote tools that can speed up the software implementation of an experiment. We typically seek for libraries, frameworks, API... that gather data about human actions and/or interactions between humans and electronic devices. (submissions of 2 pages) describing initial ideas or visions. Such papers may describe research positions or preliminary approaches on human factors in modeling that does not fit the previous paper categories. All of these should have between 6 and 8 pages in length (except position papers limited to 2 pages), including references, appendices, and figures. All submissions should clearly state in their title, to which of the above category they belong. All accepted submissions will be discussed in the workshop. Publication requires at least one of the authors to be present at the workshop. We particularly encourage researchers that need to design a study but lack experience in this field to come forward and present study designs so these may be discussed and improved, leading to better quality research. Submissions must conform to the MODELS'19 formatting guidelines. All submissions must be uploaded through EasyChair. All workshop papers will be published in a dedicated CEUR-WS volume. We strongly encourage authors to publicly archive additional materials like raw data or analysis scripts on Zenodo before submitting. As in the previous year, we are planning to publish the best papers of the workshop in a Special Issue of a high-impact journal. There is a way for that in HuFaMo, participate to Discussions and open announcements and demos interludes. HuFaMo's program includes one invited talk and 6 presentations of research work, all related to human factors in modelling. These 7 presentations will be divided into 4 sessions of 1 hour and 30 minutes. To avoid the "head stuffing" effect, we wish to leave a significant part to the discussions in each sessions (1 hour of presentation/questions, 30 minutes of discussions). or simply tools, initiatives or work they have seen elsewhere and want to share with other participants. There is no need to send a summary for this, all you have to do is to send us an email and to indicate in one sentence what you want to talk about. You can use slides or not, and make a demo (or not). The format is completely open. Please just send us an email! Several research approaches in the field of Model-Driven Engineer- ing (MDE) are concerned with the development of model transfor- mation languages. No controlled experiments have, however, been conducted yet to evaluate whether it is easier to write model transfor- mations in a model transformation language (MTL) than in a general purpose programming language (GPPL). Such experiments are diffi- cult to design and conduct. To write and maintain code in an MTL, it is necessary to understand the code. Thus, an evaluation of the effect on program comprehension is a first step towards empirically evaluating the benefit of model transformation languages. In this study design paper, we propose an experiment template for empirically measuring the potential understandability gain of using an MTL instead of a GPPL. We discuss a randomized experiment setup, in which subjects fill out a paper-based questionnaire to prove their ability to understand the effect of transformation code snip- pets, which are either written with an MTL or a GPPL. To evaluate the influence of the language on the quality and speed of program comprehension, we propose two statistical tests, which compare the average number of correct answers and the average time spent. 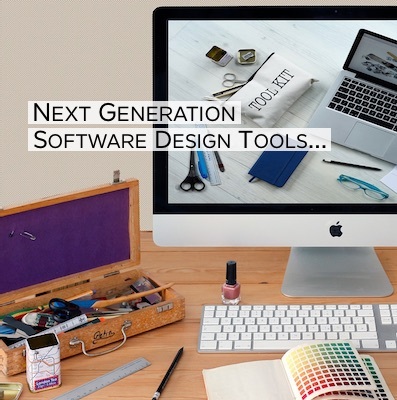 In this paper we explain our vision for a new generation of software design environments. We aim to generalize existing software development tools in several key ways – which include: integration of rigorous and informal notations, and support for multiple modes of interaction. We describe how we can consolidate the environment by integrating it with other software engineering tools. Furthermore, we describe some methods which could permit the environment to provide a flexible collaborative medium and have a practical and inspiring user experience. Modeling is a human-intensive enterprise. As such, many research questions related to modeling can only be answered by empirical studies employing human factors. 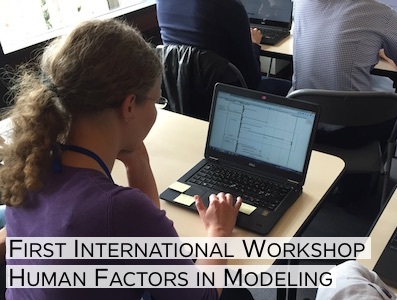 The Inter- national Workshop Series on Human Factors in Modeling (HuFaMo) is dedicated to the discussion of empirical research involving human factors in modeling. Our goal is to improve the state of the science and professionalism in empirical research in the Model Based Engineering community. Typical examples of research questions might consider the usability of a certain approach, such as a method or language, or the emotional states or personal judgements of modelers. While concerned with foundations and framework support for modeling, the community has been somehow neglecting the issue of human factors in this context. There is a growing need from the community concerned with quality factors to understand the best practices and systematic approaches to assert usability in modeling and confirm the claims of productivity. This workshop creates a space for discussion being a get together of both MDE, Usability, Human Interfaces and the Experimental Software engineering community. HuFaMo expressly focuses on human factors, in order to raise the awareness for these topics and the associated research methods and questions in the modeling community, providing an outlet for research of this type, guaranteeing high quality reviews by people that apply these research methods themselves. Along with fully complete empirical evaluations, the workshop organizers explicitly encouraged researchers new to empirical methods to discuss study designs before conduct- ing their empirical evaluations. The rationale was to create a constructive environment where the HuFaMo participants could contribute to improving the proposed study designs so that stronger (and more easily replicable) empirical designs and results can be obtained. Ultimately, we aim to congregate a community of researchers and practitioners that promotes (possibly independently replicated) empirical assessments on claims related to human factors in modeling.